A 5-year-old Filipino-Korean girl pleased the rich Arabs - and so she and her family enjoy the wealthy life there in Dubai! 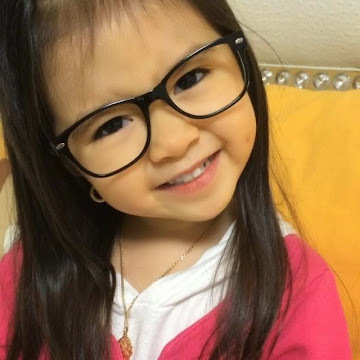 Breanna Youn, who is fond of expensive gifts received from her fans, is the most popular kid in the Middle East. Thanks to her social media savvy mom, being on the internet Breanna had already 1.1 million followers on her Instagram. Breanna is half-Filipino, half-Korean, inherited a deep and beautiful eyes from her mother. She loves pop songs, and pose along with her expensive designer bags. Her rich admirers from UAE invited the whole family of Breanna, she traveled from South Korea to Dubai, for the all-expenses-paid two-week vacation, where they stayed in the luxurious hotel. Due to Breanna's admirers are almost from UAE, her Korean father decided to stay in the Middle East. The family, who are Catholic, has also been converted to Islam. Although her parents are criticized for over-exposure or their child, they believe that Breanna has a unique talent, comes to amuse the people. The spoiled superstar had become accustomed in front of the camera. When they go to the mall, she asked her father, "Why people didn't took my photograph?" Thank you for reading Cute Filipino-Korean Girl Captivized Hearts of Arab People posted on the website Kwentology if you want to redistribute this article please include the link as the source. Have some kuwento to share? Contact us!